The 'We Got Married' couples will face the brutally honest MC panel on 'Radio Star'! 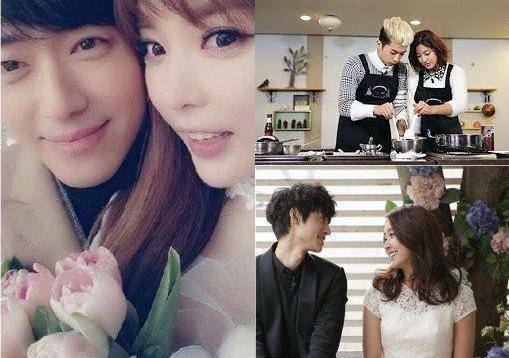 An MBC rep told Sports DongA on the 18th, "The 'We Got Married 4' couples will participate in the filming for 'Radio Star' on the 19th." According to MBC, Nam Goong Min, Hong Jin Young, Wooyoung, Park Se Young, and Jung Joon Young will attend the filming held at MBC Dream Center on the 19th. Unfortunately, Jung Joon Young's onscreen wife Jung Yoo Mi will not be able to make it to the filming due to her filming for her�MBC daily drama 'Mother's Garden'. Stay tuned for the behind-the-scenes stories that the couples will dish on and to possibly find out if they really have feelings for each other on this exciting episode!